Contact us for our one-month free trial, and let one of the highest performing networks in the industry get your content where it needs to go as fast as possible. A few reasons to use SynEdge. Our global presence improves overall reliability and flexibility. Our platform was built specifically for high performance with a lower cost, able to reach any device as fast as possible. In need of your own PoPs? 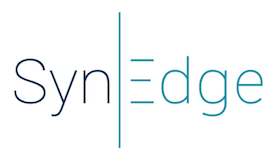 Utilise SynEdge’s innovative next generation platform in a standalone Private CDN. Top brands who trust our services. up to date for everyone. consistently up to date and seen immediately.